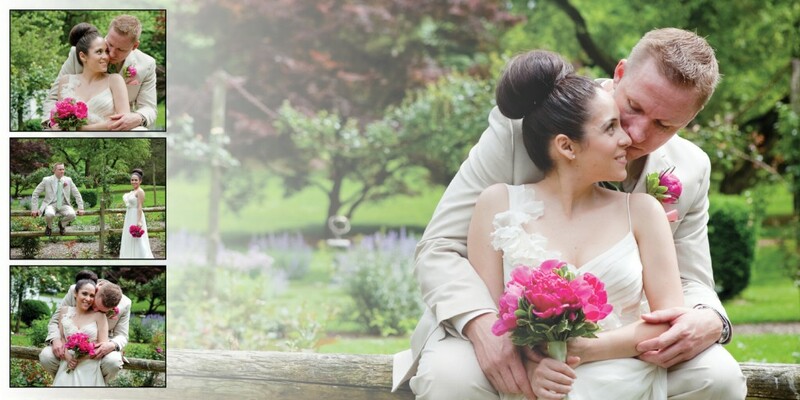 A few months ago, I blogged about Marcela and Eric’s beautiful Garden Wedding at the Reeves-Reed Arboretum in Summit, NJ, and posted a few of their pictures on our blog. 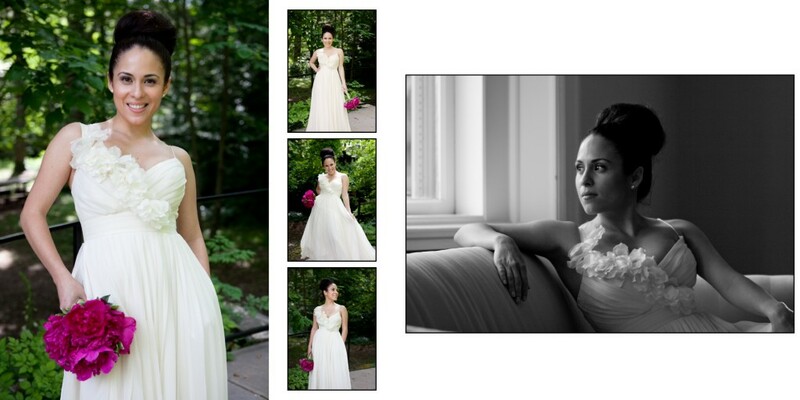 Now, I wanted to show you the next step after we photograph a wedding: The Wedding Album Design. 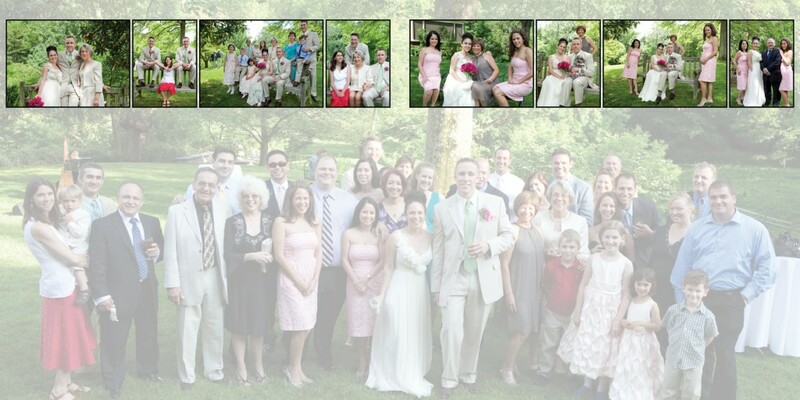 After we shoot a Wedding, your wedding pictures will be uploaded to a private online wedding gallery. There, you will be able to select your favorite pictures. 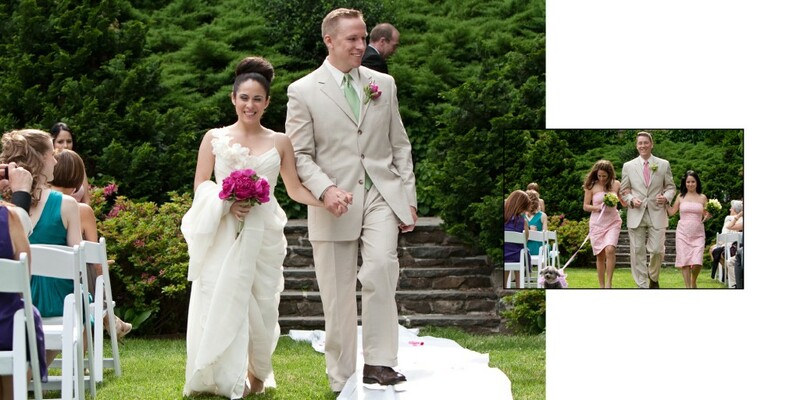 You will let us know the pictures that you want, and we will design your Wedding Album. Album Design is something that we are really proud of because that is where it all comes together. 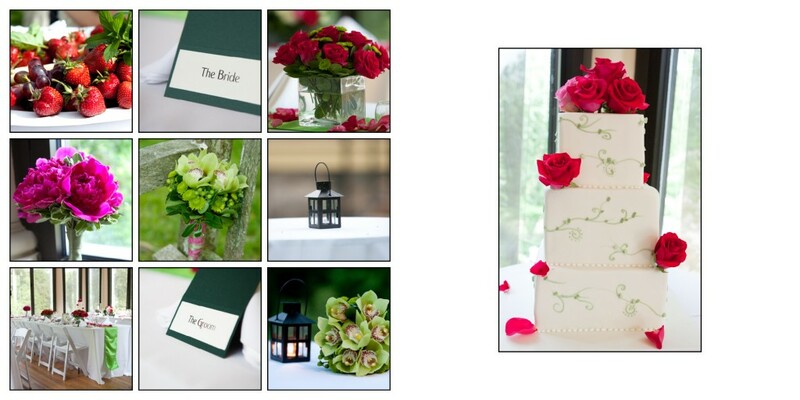 Each album is designed with the couple’s story in mind, so no two albums are the same, which is why other photographers also chose The Wedding Central to design their wedding albums. 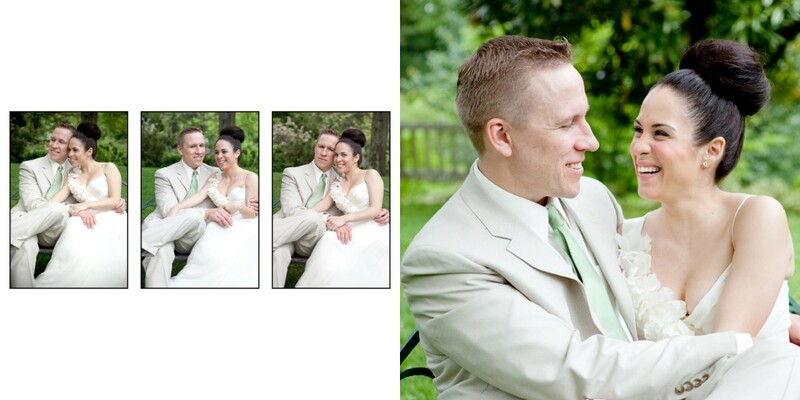 Marcela and Eric wanted a square Flush Mount album with a very clean and classic design. “Flush mount album” or “Magazine Style album” means that your pictures are printed onto one single page, also called spread, just like a magazine or a book; which allows for placing a picture across two pages. This is different from a traditional matted album where each picture is printed individually and then mounted to the page using mats. Different album companies may use different names: Flush Mount or Coffee table books, the design concept is the same, but depending on the company the material and quality could vary. We are proud to say that use the top album manufacturers in the country. The Wedding Central is a wedding photography and cinema wedding video boutique that strives to bring contemporary wedding photography, and cinematic wedding videos. 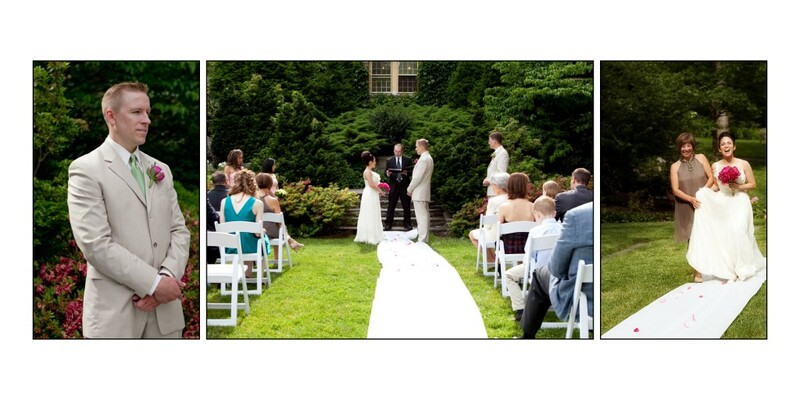 Our studio is located in Hoboken Weehawken area and covers weddings in Northern New Jersey, Central NJ, and New York City.